Three of the most important aspects of approaching an older age involves planning for incapacity, planning for long-term care, and planning for death. Each of these can be an important component of your overall estate planning strategy. It is imperative to plan for incapacity even if you don’t believe that you will be affected by this situation. Otherwise it can be an unfortunate surprise for your family members who may not be able to carry out all of your wishes. Having a plan in place and having the documents prepared adequately with the assistance of an attorney can be extremely beneficial. It is also a good idea to update your plans regularly. Likewise, long-term care should be included carefully. There are multiple different options for paying for long-term care such as using a reverse mortgage, receiving benefits from Medicaid, accessing long-term care insurance benefits, liquidating assets, or receiving VA benefits. You should consult with an attorney if you are concerned about qualifying for Medicaid or whether you’re eligible for these other situations. 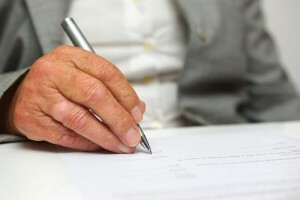 Finally, the last component of elder law estate planning involves preparing for your death. This means thinking carefully about what your wishes are and how you would like to pass property on. Consulting with an estate planning attorney can give you options as far as the best way to protect these assets and set them up to be given to beneficiaries in the future. There may be important planning strategies and tools that you are not aware of on your own but that an experienced estate planning attorney can help you identify.